“You don’t look like a pace bowler. 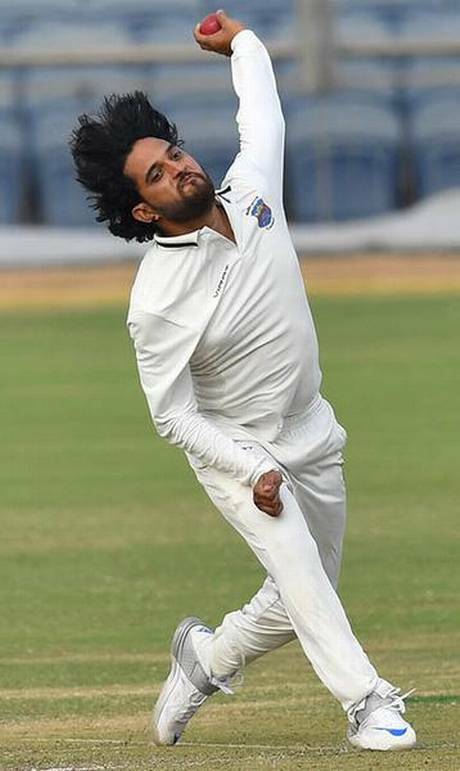 You don’t even mark your run-up.” Samad Fallah, the Maharashtra new-ball bowler, has had to deal with taunts even before he made his First Class debut in 2007. Having proven his worth over the last 12 years, Fallah, the ever-smiling cricketer, had perhaps the most memorable moment of his career on Friday. By dismissing Mumbai opener Jay Bista, Fallah overhauled work-horse Iqbal Siddiqui’s mark of 259 wickets and become Maharashtra’s leading wicket-taker in Ranji Trophy. When he was 19, Fallah had been selected for Mumbai’s u-22 team through open trials but a personal tragedy had kept him on the sidelines. The tragedy — something that he doesn’t want to be published — had him out of cricket for two years and even after his return, Fallah, whose father runs an Irani restaurant, was hiding his cricket exploits from his father. “My father didn’t even know I had started playing cricket, so when Munaf (Patel, the former Maharashtra and India bowler) called him and told him I was selected for Maharashtra, he didn’t believe it. “In fact, he believed in it only after reading the papers next morning,” Fallah recalled. While thanking his mother who supporting him all along and all the coaches, team-mates and association officials for keeping the faith in him, Fallah could relish the fact that his father — who had once opposed his return to cricket — has adorned the walls of the cafe with Fallah’s paintings and statistics.